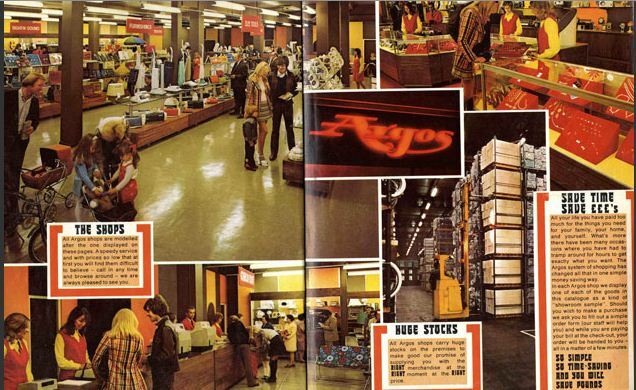 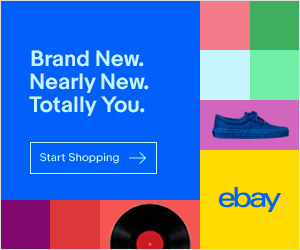 Argos established itself as a British catalogue retailer in 1973, after Green Shield stamps founder Richard Tompkins thought of the idea while on a Greek holiday in the city of (Yep, you guessed it) Argos. 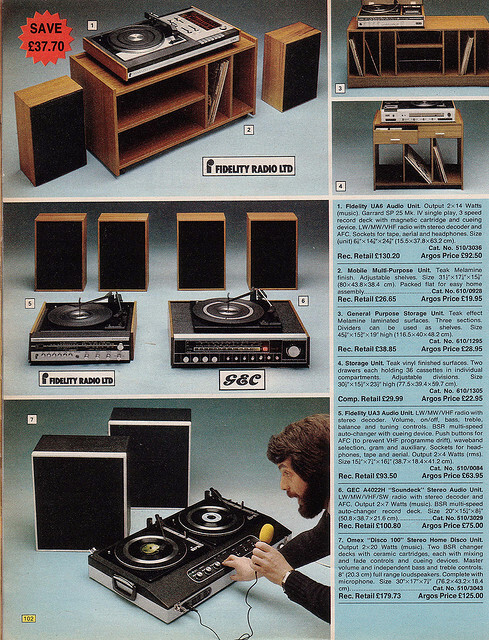 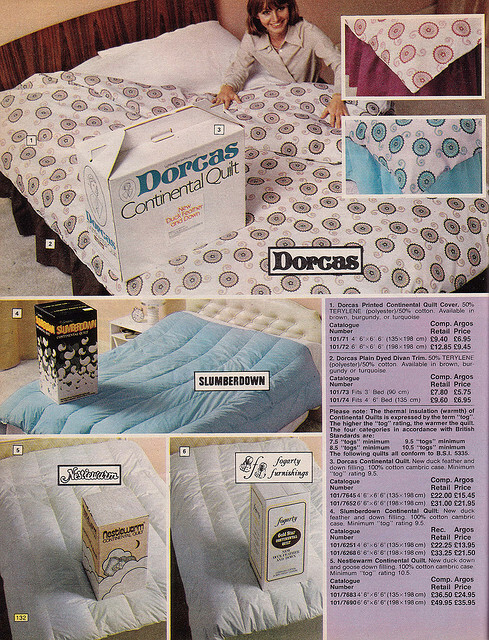 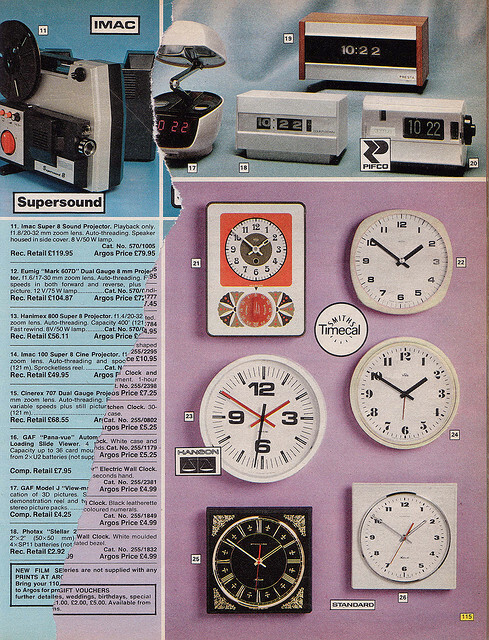 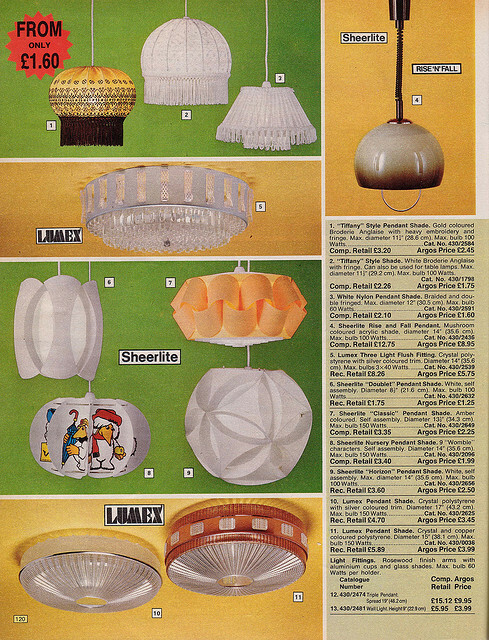 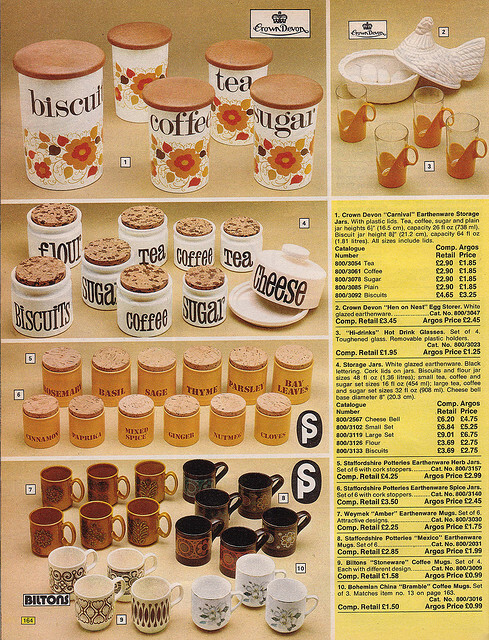 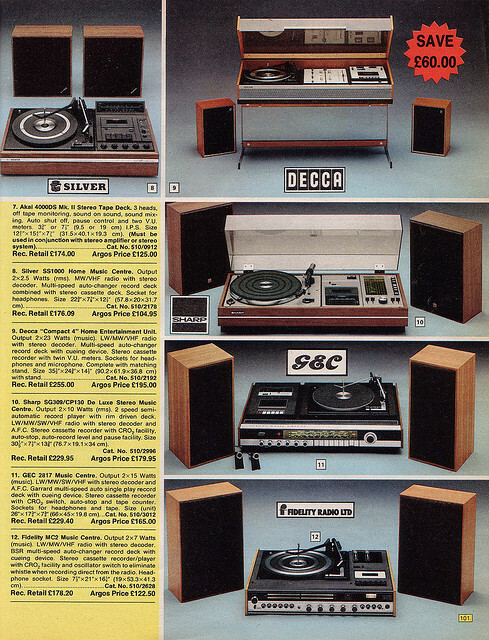 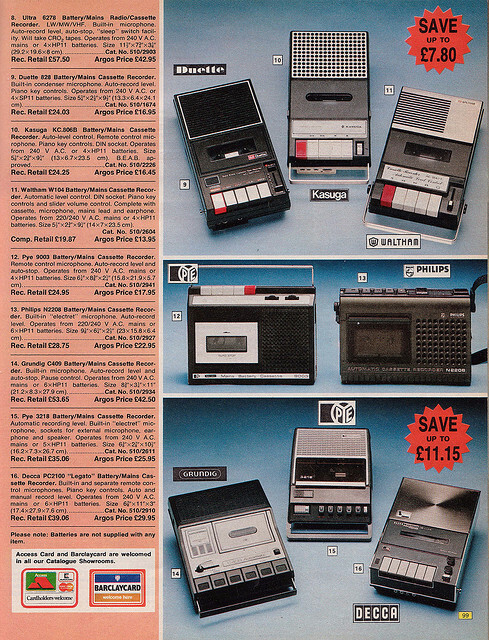 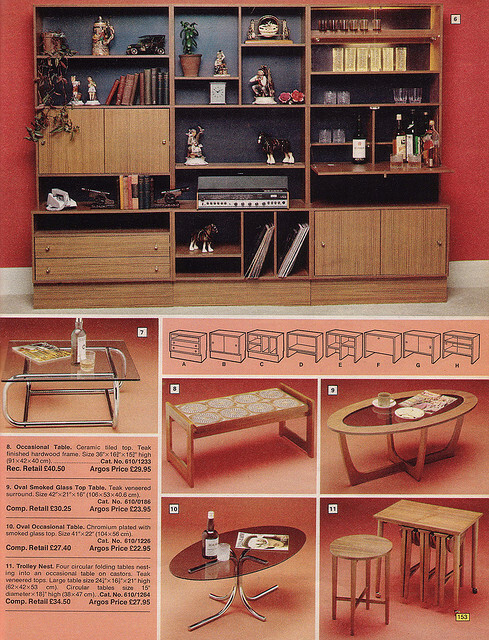 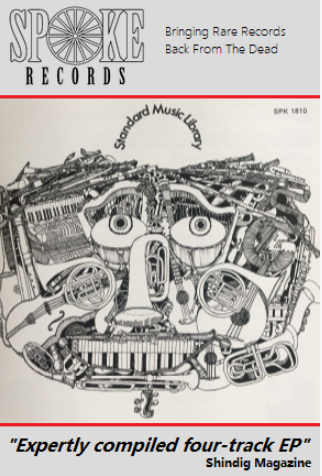 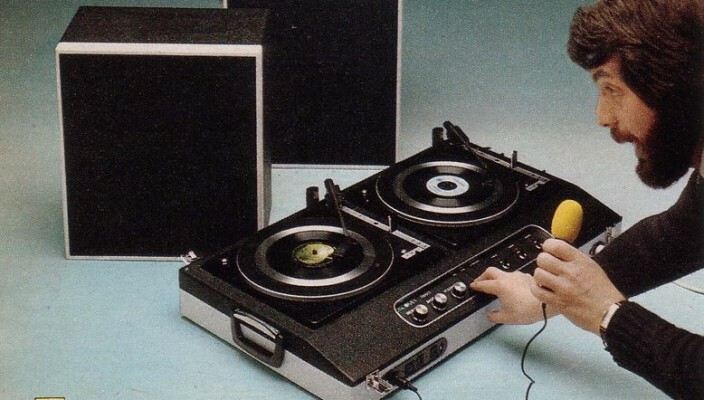 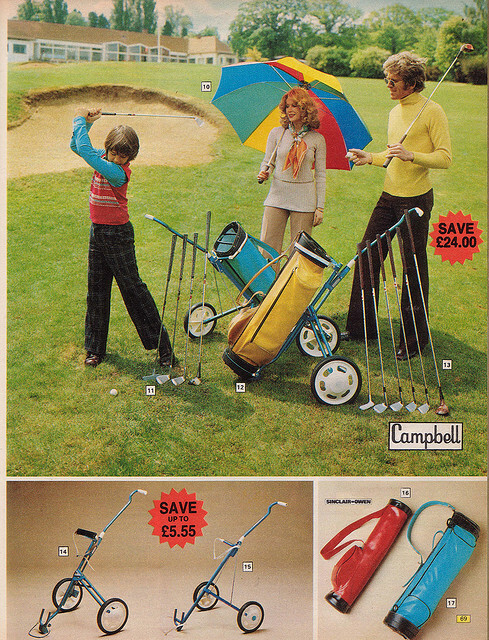 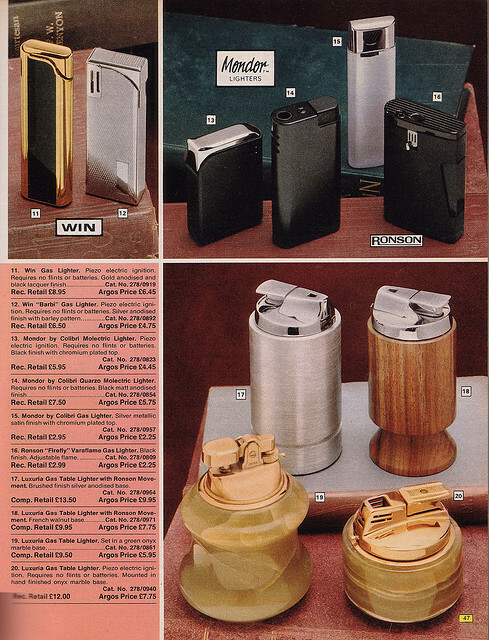 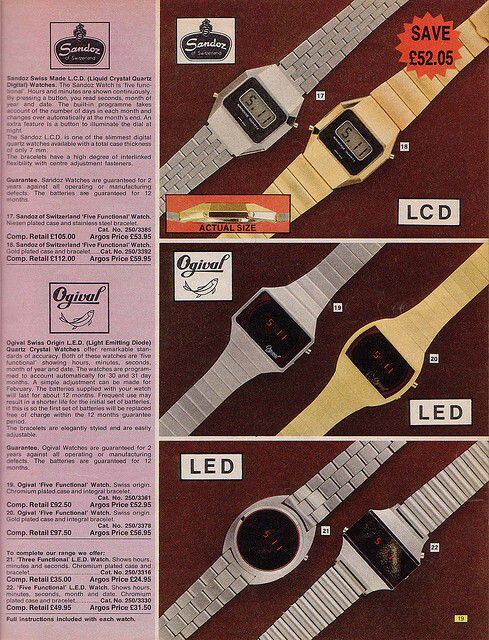 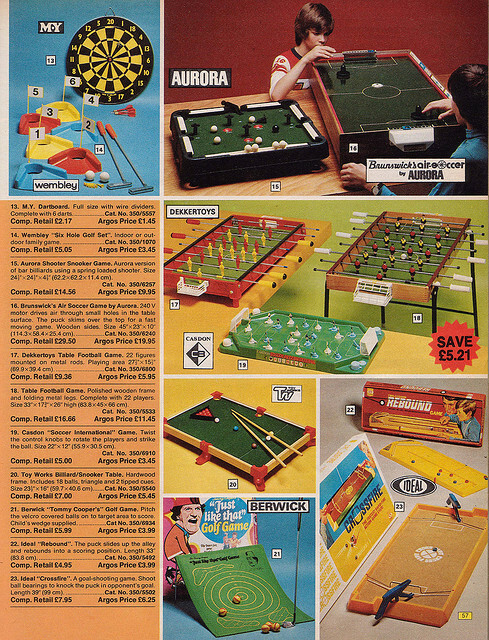 Here we go back to the super seventies and take a look at the pages of the the 1976 Catalogue. 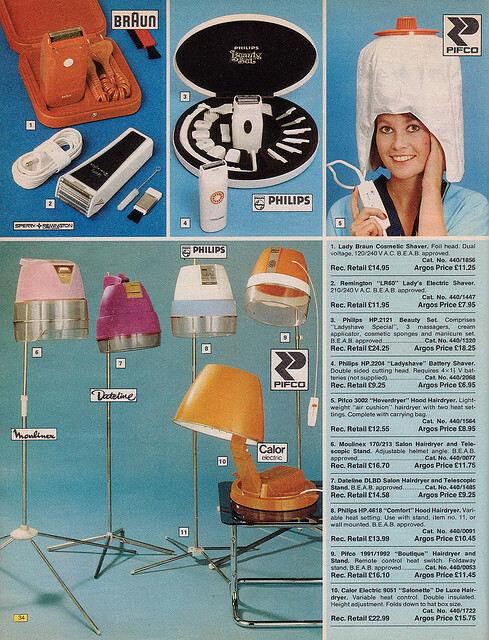 Flicking through this catalogue is similar to visiting a really good car boot sale or a trip to London;s Camden Market, but in book form. 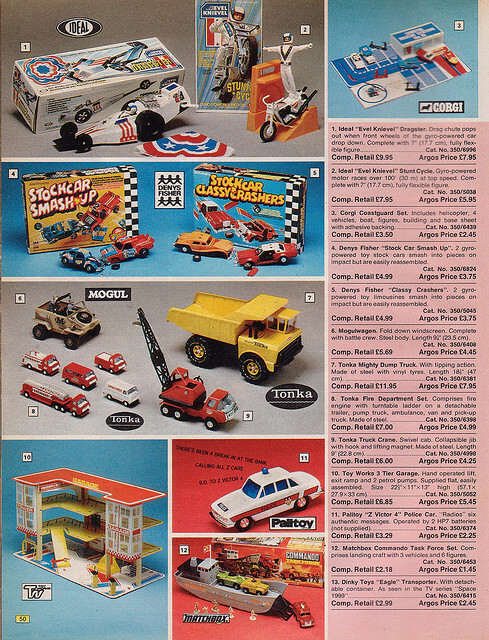 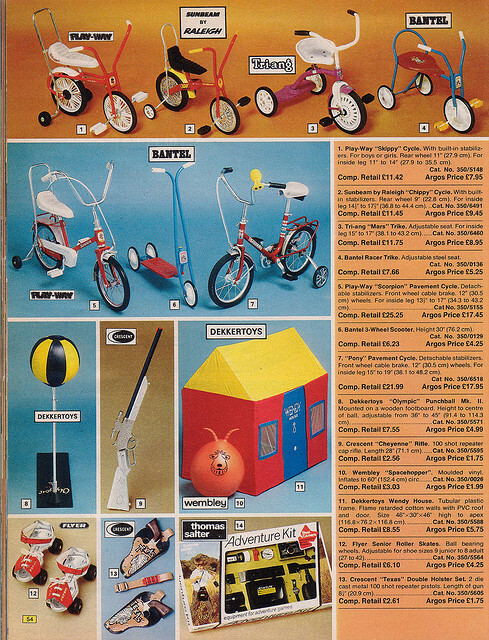 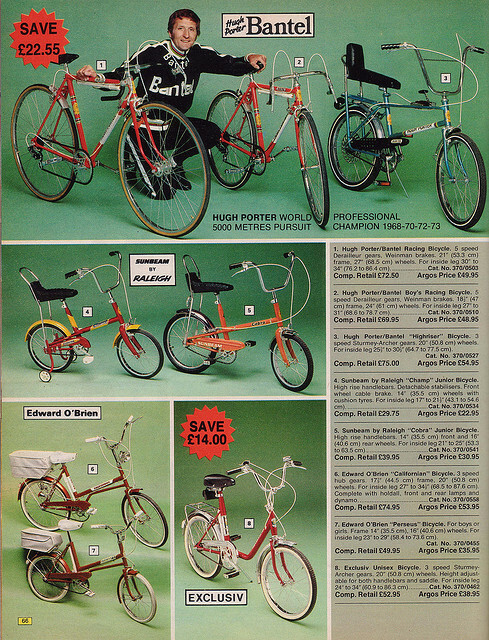 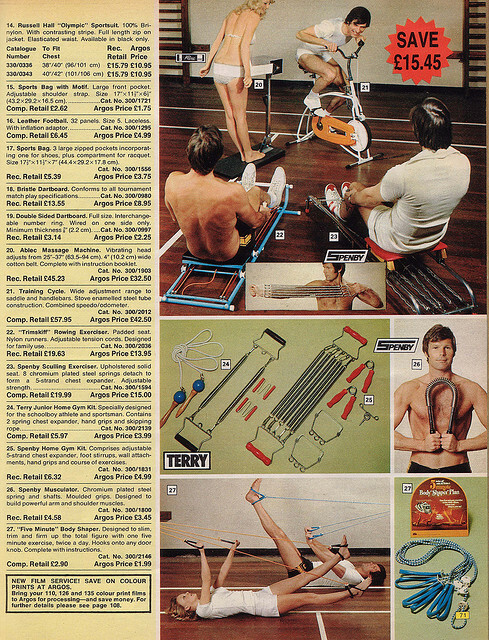 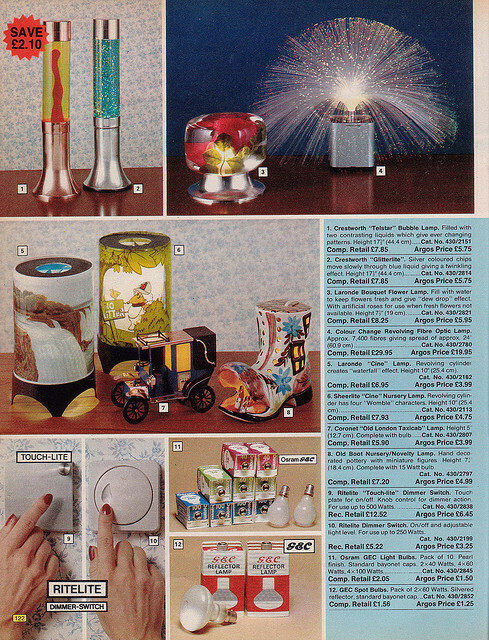 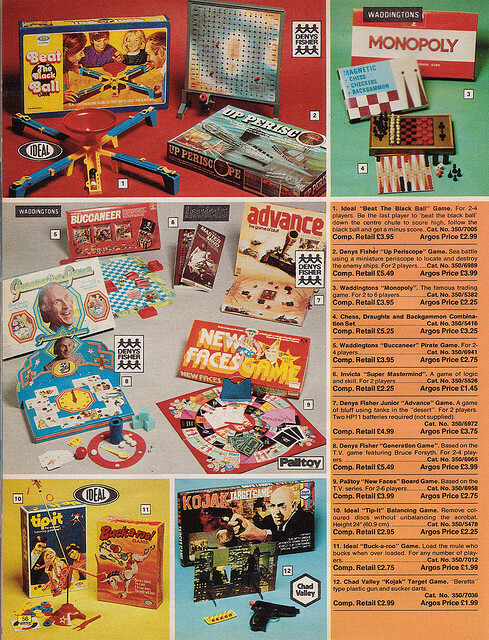 All the classic Seventies items are in the catalogue,including the Spacehopper, Six Million dollar man doll, Lava lamps, Sodastream , orange rocket lamp and the chopper style bikes. 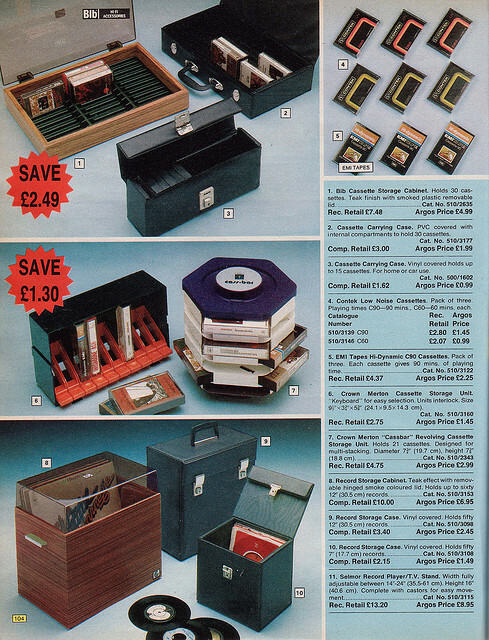 If this is your era or you have a passion for retro stuff, enjoy a scroll down memory lane.